Table 1. Descriptive statistics of the sample (N=100). Table 2. Factor analysis of reflective constructs (N=100). Table 3. Descriptive statistical analysis (N=100). Table 4. ANOVA means and results. Table 5. Bonferroni test on professional group. Among other strategies,8 managers may use management control systems (MCS) to assure that professionals behave according to the objectives of the organization.9 The most common MCS used in hospitals are the balanced scorecard,10,11 budgeting systems,12,13 and cost control.14,15 The growing literature over the last decades on the use of MCS in health institutions16 provides evidence on the positive consequences of implementing these tools to direct hospital employee behavior. Findings suggest that MCS may promote cooperation and coordination,12 cost containment17 or participation.18 On the one hand, MCS may contribute to guiding the conduct of professionals by informing and motivating them to do what the organization expects of them.19,20 On the other hand, MCS may contribute to guiding the behavior of employees by informing them about the negative consequences of behaviors that are unacceptable to the organization, i.e., MCS may be perceived as a threat.1,21 In brief, employees may react to MCS by either becoming more motivated and/or perceiving these measures as a source of threat. Finally, we test the relationship between tenure and the employee reactions to MCS.32,33 The results of this comparison show no significant differences (Table 4). The effectiveness of MCS in terms of consequences on employee behavior is currently one of the major challenges to hospital organizations.13,20 In this line, drawing on a sample of 100 respondents, this study aims to determine the extent to which organizational factors (hospital ownership and professional group) and individual characteristics (type of contract, gender and tenure) can condition employee reaction (motivation or threat) to MCS. Our results present central questions that should be discussed within the context of the existing literature. All authors were involved in the conception, design and writing of the manuscript. E. Lopez-Valeiras and R.J. Lunkes supervised the data collection. J. Gomez-Conde carried out the data analysis. E. Lopez-Valeiras and J. Gomez-Conde interpreted the data and critically reviewed the manuscript. All authors have approved the final version of the manuscript. We acknowledge the financial contribution from Fundación COTEC-Programa de Innovación Abierta 2016 (PIA) and the Spanish Ministry of Economy, Industry and Competitiveness (ECO2016-77579-C3-3-P; ECO2014-56204-P). D. Naranjo-Gil, M.J. Sánchez-Expósito, L. Gómez-Ruiz. Traditional vs. contemporary management control practices for developing public health policies. Workplace deviance among nurses: the influence of work group norms on drug diversion and/or use. A retroductive theoretical model of the pathway to chemical dependency in nurses. Medicare fraud and abuse issues. Review of corruption in the health sector: theory, methods and interventions. The beliefs of nurses who were involved in a whistleblowing event. Ethical policy guidelines development for general hospital nurses. Workplace deviance: strategies for modifying employee behavior. M.S.C. Lobo, A.C.M. Silva, M.P.E. Lins, et al. Impacto da reforma de financiamento de hospitais de ensino no Brasil. C.W. Chow, D. Ganulin, O. Teknika, et al. The balanced scorecard: a potent tool for energizing and focusing healthcare organization management. M. Salinas, M. López-Garrigós, M. Gutiérrez, et al. 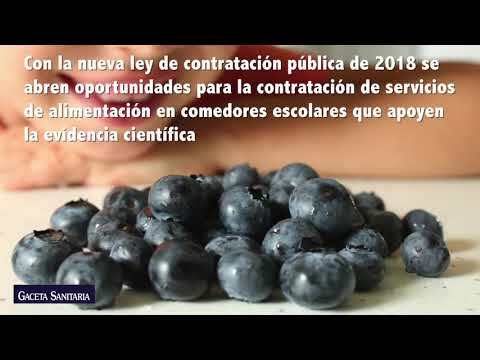 Las perspectivas financiera y de aprendizaje y crecimiento del cuadro de mando integral en las instituciones públicas: aplicación en el laboratorio clínico. El uso del cuadro de mando integral y del presupuesto en la gestión estratégica de los hospitales públicos. M.V. Sánchez-Rebull, A. Terceño, A. Travé. Cost of therapy for neurodegenerative diseases. Applying an activity-based costing system. García Montero A. Implementation of a cost accounting model in a biobank: practical implications. L. Eldenburg, N. Soderstrom, V. Willis, et al. Behavioral changes following the collaborative development of an accounting information system. J. Villalbí, J. Guix, C. Casas, et al. El cuadro de mando integral como instrumento de dirección en una organización de salud pública. A conceptual development of Simons’ levers of control framework. M. Berdud, J.M. Cabasés, J. Nieto. Incentives and intrinsic motivation in healthcare. Predicting nonlinear effects of monitoring and punishment on employee deviance: the role of procedural justice. L.K. Trevino, K.D. Butterfield, D.I. McCabe. The ethical context in organizations: influences on employee attitudes and behaviors. Managerial rewards and the behaviour of for-profit, governmental, and nonprofit organizations: evidence from the hospital industry. ¿Autogestión o autonomía de gestión? Informe SESPAS 2012. Planos de saúde: uma análise dos custos assistenciais e seus componentes. Avaliação de desempenho organizacional: um estudo aplicado em hospitais filantrópicos. L. Vignochi, C.R. Gonçalo, A.G.R. Lezana. Como gestores hospitalares utilizam indicadores de desempenho?. Organizational career stage as a moderator of the satisfaction-performance relationship. Organizational commitment: evidence of career stage effects. Public v. private perceptions of formalization, outcomes, and justice. Comparing public and private sector decision-making practices. Y. De Harlez, R. Malagueno. Examining the joint effects of strategic priorities, use of management control systems, and personal background on hospital performance. N. De Cuyper, G. Notelaers, H. De Witte. Job insecurity and employability in fixed-term contractors, agency workers, and permanent workers: associations with job satisfaction and affective organizational commitment. The ethical decision making of men and women executives in international business situation. Empathy in medical education: a case for social construction. Physical abuse against Jordanian nurses in the work environment.